A very sweet Bunny doll’s house with two wallpaper decorated rooms for a young little bunny family. 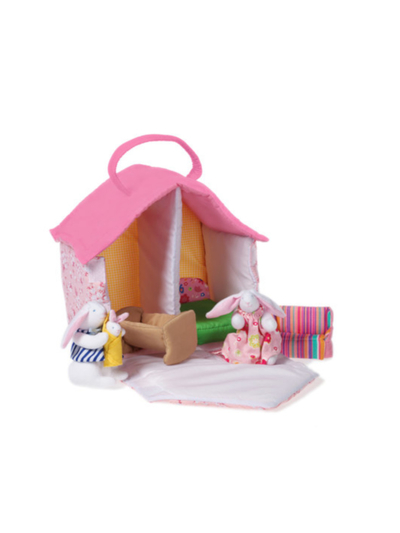 Includes a Mummy bunny, Daddy bunny, baby bunny, bed, sofa and a little baby crib. A small handle makes it easy to bring this toy along in the car, bus etc. In total 7 pcs. Warning: this toy is not suitable for children under 36 months – small parts.